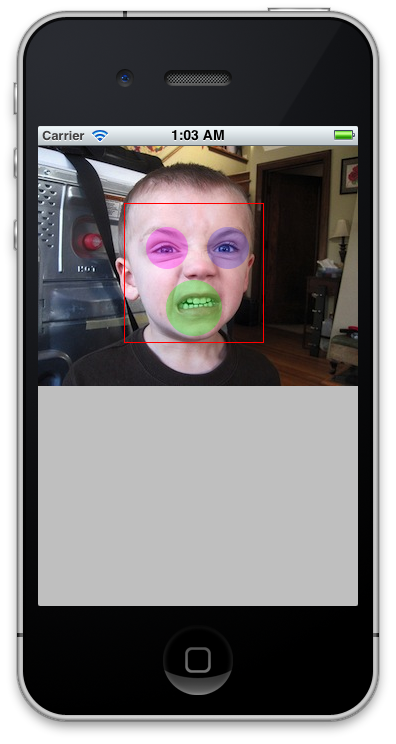 Recently I found a very nice CoreImage tutorial for iOS: Easy face detection with core animation in iOS5 and after downloading the source I found that this quite popular tutorial was teaching something wrong, coordinates system conversions!. In CoreImage, each image has its own coordinate space its origin in at the left bottom corner of the image. Each images's coordinate systems is device independent. 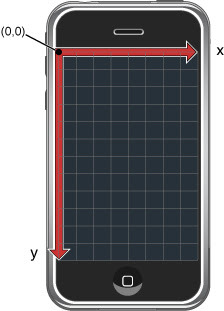 The origin of an UIViews frame is at the top left corner and its coordinates are in their superview coordinate space. They are not independent. Where ui and ci subindexes mean UIKit and CoreImage coordinates respectively and h is the height of the image in regard. We could do this manually but happily there are a bunch of functions for this task like: CGAffineTransformMakeScale, CGAffineTransformTranslate, CGPointApplyAffineTransform and even CGRectApplyAffineTransform!. Thanks to Apple for making our life easier. In case, you didn't notice, the original example changes the whole window coordinate system causing its origin to be at the bottom left (like Cocoa in the Mac) hence the imageView appears at the bottom. Is there any way to compare the Eye between different images? I want to compare whether Eye is open or closed? Similarly for Smile detection? Whether it is mouth open or now? What about when you have a greater image and your ImageView content mode is set to UIViewContentModeScaleAspectFit? I am not able to transform coordinates. You have a 7th follower in me! Thanks... I was so confused by the coordinate mismatch and you clarified it for me nicely.